Today New Zealanders donned gumboots of all descriptions - thigh-high freezing worker boots; flamingo pink designer boots, red band classics, Mum’s ankle high gardening boots and my own fairly unoriginal shiny black boots. All we needed was our kamuputu and a gold coin. The gumboot concept is to represent that having depression is like walking through mud every day. But there are other meanings for me associated with the proverbial national icon. For some of us putting on our gumboots is a fierce pick-me-up. There’s that sense of a second skin – where we feel most at home. It’s all about the Red Band Swagger. For me it takes me back to the mischievous wonder of a childhood spent jumping in puddles and creating the biggest splash. There’s nothing that speaks of adult sensibility more than running for shelter when a spit of rain appears from above. Whatever the association, Te Putahitanga o Te Waipounamu fully supports Mental health charity I AM HOPE and its founder - New Zealander of the Year Mike King – in this initiative to raise money and awareness for children's mental health needs. Gumboot Friday aims to raise $2 million, to fund an unspecified number of counselling sessions. In 2018, 137 young New Zealanders died by suicide. It's estimated another 3500 attempted to take their own lives. There are concerns around kids waiting up to six months to receive counselling services. 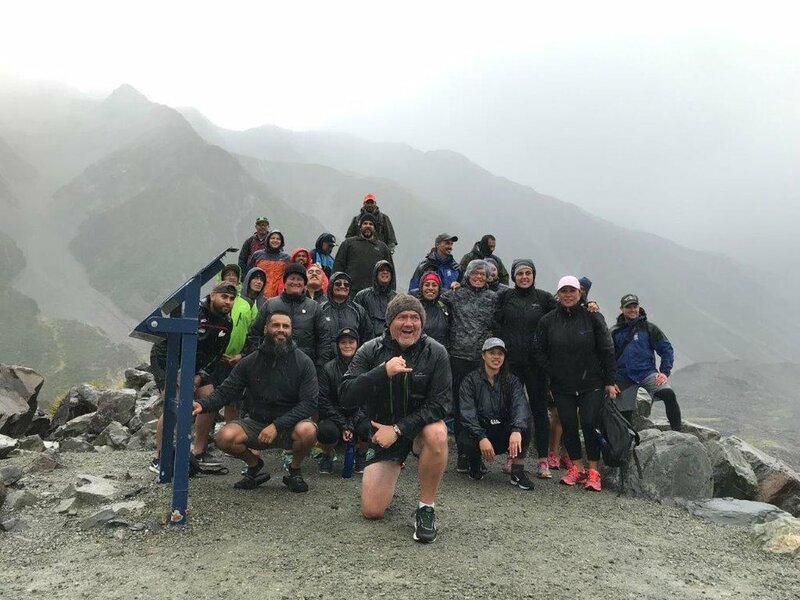 Within a 48 hour period, the faces of the mighty mauka Aoraki underwent a dramatic transformation from the sparkling diamond-clear waters of Pukaki to the grey veiled mist of Aoraki. And if that isn’t a stark realisation of the human experience, I’d like to know what is. From Sunday to Tuesday this week, our champions of the tīnana, attended the Aoraki Summit. This is the second year of this special event hosted by Te Putahitanga o Te Waipounamu and brilliantly led by the Pirini sisters, Vania and Crete. Attending the summit this year were the Pikia whānau; Meikura and Huata Arahanga; Tyler Harrison-Hunt; Joyce Manahi; Korotangi Ltd, Lucky Taylor from Pakipaki; Kia Kaha Chemist Brendon McIntosh, the Omaka Pa troopers; Grace Ltd company; Bros for Change; Hale Compound Conditioning; Yoga in schools and Waihopai Marae. “You are the beacon of hope that I see making changes every day to address the systemic failure too often featured in our health system. Your passion, your commitment to your whānau and your innovation in reaching into tupuna mātauranga is legendary; your energy epic; your charismatic leadership defining a new knowledge of wellness”. The waka had hardly arrived home before our Navigator Tīnana Champions were back at work. Bros for Change have been working this term with Ōpāwaho School. This is their ninth Timatanga Hou Wānanga. They are currently four weeks into an intensive programme with 100% attendance, 100% arrive on time. You can’t ask for more than that! We would love for you to attend and show the rangatahi all the support that’s out there and contributing to their success in one way or another. While Jaye and the team were rushing back to Bros for Change, Cate Grace was right back into the accelerator programme, Te Papori o Whakatere. This week, after eight sessions, the successful course participants graduated at Cracroft House in Christchurch. Te Papori o Whakatere is our capability development programme that aims to support our whānau entities to graduate as ‘change agents’ committed to a path of transformation. It is an utter privilege to be part of this series – kaupapa Māori at its finest. 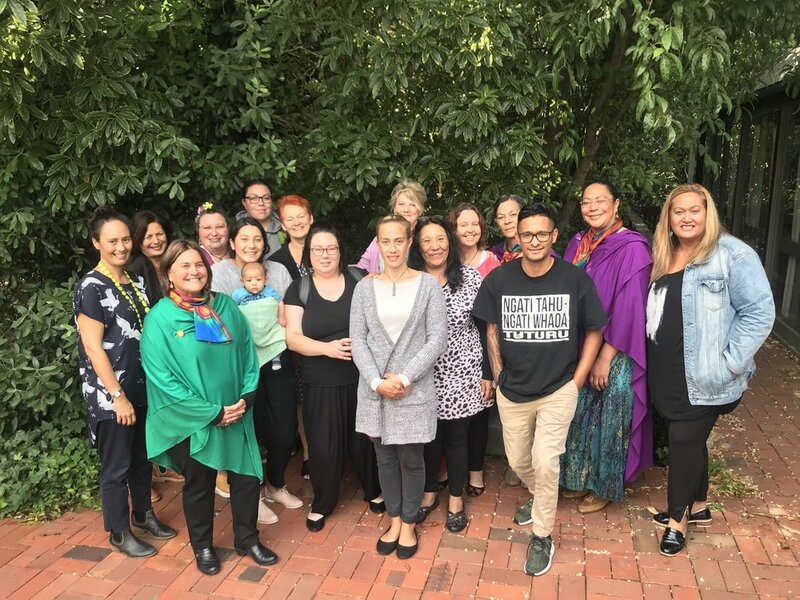 We have new businesses around suicide prevention, music management, art, cultural competency and workforce development, and the enterprise arm of the Māori women’s welfare league. Simply stunning. We will see all the graduates at the symposium dinner next week! The Chief Commissioner gave a public talk to support ‘Give nothing to Racism’ at Otago on Thu 21 March, in honour of Race Relations Day. The visit to Corstorphine was part of a series of community engagement events for Chief Commissioner Paul Hunt to meet users and organisers of robust community projects across the country. The Commissioner is keen to hear and learn from real people at a grass roots level, in order to progress a public discussion about poverty and its impacts, as a human rights issue. This will help inform the Commission to make a contribution to the discussion around poverty, not just from an international human rights lens, but closer to home, with examples around Aotearoa. They hope to influence government and the public discussion from a human rights perspective. The visit to the hub was within the context of community leaders of robust projects who are trying to make a difference, and especially the people that use their services, who may be suffering from the related impacts of poverty. This week was an excellent opportunity to be talking about productivity and economic return with our three manuhuri: Thomas Perenara (yes he is father of TJ); Rose Stainer and Nathan Grennell (Ngāi Tahu). The team came to talk to us from the Sector Workforce Engagement Programme of the Provincial Development Unit (growregions.govt.nz). This week our contracts advisor for the Coast, Gina-Lee Duncan, met with the new Chief Executive for Buller District Council Sharon Mason (standing next to Gina-Lee) along with Rachel Townrow group manager of community and environment, and Kaumatua Karena Tuwhakaea Clark. Sport Canterbury is recruiting for a Physical Health Advisor to work with the Green Prescription team primarily in the Eastern suburbs. - Experience in health promotion with Māori and/or Pasifika communities. - Experience in working within Te Tiriti o Waitangi principles. -	Experience in engaging targeted populations i.e. Māori and/or Pasifika. This weekend, three of our team are up in Rotorua at Inaia Tonu Nei Hui : The Justice System. This hui is proudly organised by Māori, for Māori voices, government ears and collective action towards criminal justice reform. “We must have brave, uncomfortable conversations to reform our system of injustice. The shift from surviving to thriving whānau Māori requires the realisation of what was envisaged in the Treaty – this hui is a step towards that”. In response to the absence of intentional space for Māori voices at the Criminal Justice Summit held in Wellington last year, Māori attendees called for space to discuss a Māori response to the reformation of the Justice System. From that caucus, a call was made for a national hui Māori to be held. The Minister supported these actions and made a commitment to enable this hui to take place. And finally we are on the countdown to Puao te Rā Uramai te Rā! Download the ORA APP - search for ORA SYMPOSIUM. If you can't be there - you can still share your Whānau Ora posts to our LiveWall!